Anti-Israel professor Norman Finkelstein has once again slammed the BDSHoles. The most sur­pris­ing pre­sen­ta­tion, how­ever, came from Nor­man Finkel­stein, a for­mer pro­fes­sor at DePaul Uni­ver­sity and noted critic of Israeli policy. Finkel­stein, who caused quite a stir in anti-Israel cir­cles last year when he claimed that the BDS (Boy­cott, Divest­ment and Sanc­tions) move­ment has char­ac­ter­is­tics of a “cult” and seeks to destroy Israel, began the dis­cus­sion by argu­ing that Israel is a state rec­og­nized under inter­na­tional law with respon­si­bil­i­ties, oblig­a­tions AND rights. He chal­lenged the latent hypocrisy within the anti-Israel move­ment (and his co-panelists), which con­stantly points to inter­na­tional law to jus­tify its agenda while ignor­ing the fact that inter­na­tional law estab­lished Israel as a Jew­ish state. “How does one pro­pose to win sup­port for the Pales­tin­ian cause based on inter­na­tional law yet not sup­port two states? That just doesn’t make any sense to me,” he said. Mem­bers of the audi­ence reacted hos­tilely to Finkelstein’s pre­sen­ta­tion, talk­ing and shout­ing over him and even yelling at him dur­ing the ques­tion and answer period. While he spoke, two of the other pan­elists – Lamis Deek, a founder of Al-Awda; and Sherry Wolf, an avid BDS activist – who both later expressed sup­port for a one-state solu­tion, fre­quently rolled their eyes and put their heads down, dis­play­ing vis­i­ble dis­com­fort with his positions. 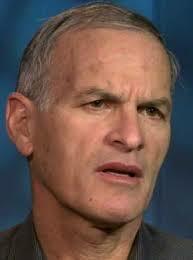 It says a lot about these people that someone like Norman Finkelstein comes across as the reasonable one.